After we got the South Bend Model A lathe setup and started cleaning it up, we discovered that we needed quite a few different parts to make it complete. One of these is a chuck. 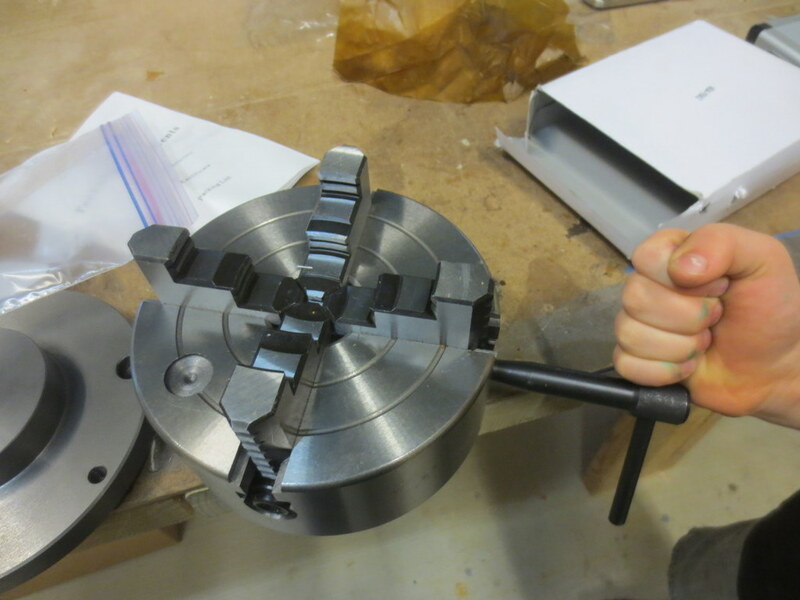 I’ve heard it said that if you can only have a single chuck, make it a 4-jaw chuck. So that is what we started with. It came with a 1.5 x 8 threaded mounting plate. 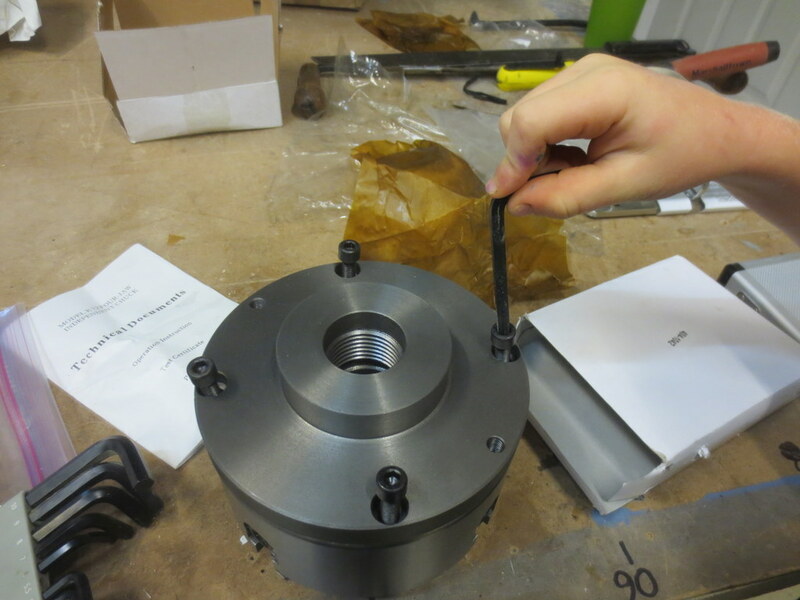 However, when we went to bolt them together, we discovered that the chuck didn’t fit the mounting plate! How could that be? A quick phone call to Shars cleared that up. 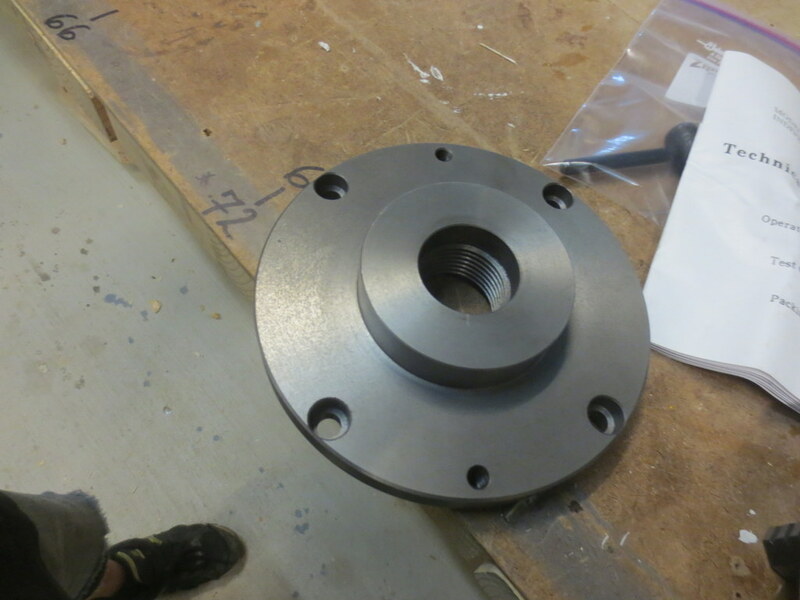 Apparently (this is common knowledge to machinists, but) we need to turn down the mounting plate to an exact fit. This ensures that the chuck will run true on our lathe.